Foot Specialists of Austin, Cedar Park, and Georgetown always appreciates feedback from our valued patients. To date, we’re thrilled to have collected 89 reviews with an average rating of 4.79 out of 5 stars. 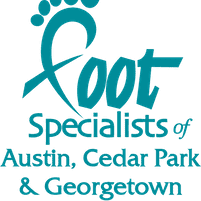 Please read what others are saying about Foot Specialists of Austin, Cedar Park, and Georgetown below, and as always, we would love to collect your feedback. Always a great experience and worth the wait! Dr. Hurst is a caring and understanding doctor and listens to his patients. I had not been to Dr. Hurst for eight years and he acted as though he had not forgotten who I was. He makes you very comfortable and relaxed in a difficult and painful situation. I really like his entire staff too. Everyone's very nice and welcoming. Dr. Hurst and all of his staff are so friendly and efficient! I immediately felt comfortable and confident about the care I would be receiving. Very professional and friendly staff. Made it very easy to make the decision to move forward with surgery. Dr. Hurst and his staff are great! really great!! everyone in the office was very helpful and Dr Hurst is soo nice and quick he's great!! Professional yet friendly staff. Dr Hurst explained everything very thoroughly . Dr. Hurst is a fantastic doctor. He is a conservative practitioner, not one who wants to jump in and perform surgery without first trying non-invasive options . He is knowledgeable, compassionate and kind and funny. His staff is also delightful.